Hanwha Surfaces is a leading manufacturer of natural quartz surfaces with the most advanced, nature-friendly manufacturing plant in North America and is now available in Atlanta and North Georgia. 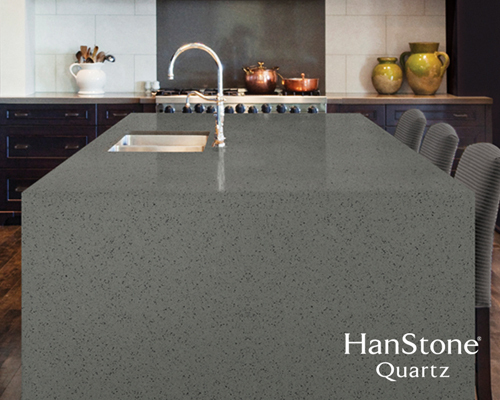 The HanStone Quartz product line is ideally suited for countertops, vanities, bar tops, reception areas, conference rooms and other surfaces throughout residential and commercial interiors. HanStone combines one of nature’s hardest materials, natural quartz, with high-quality polymer resin and pigment to produce a durable yet luxurious stone surface. All of these qualities have made HanStone Quartz a premier choice for builders throughout the world.